The 17u Desperados rolled into Toronto on Saturday night with a mission on their minds. Having competed in both the East and West Nationals last year, winning bronze (Sherbrooke) and finishing 5th (Calgary) the boys knew that no games this weekend were going to be "easy". But the message from the coaches was simple: This is about the team. Nothing this weekend should distract us from our ultimate goal, making the final 4 at a combined Nationals. Play started Friday morning with convincing wins over the Selkirk Royals (Man) and Toronto Aces. Then in their final pool match they squared off with Calgary Elite West knowing both teams would advance, the Mavs had a score to settle, a loss in last season's west power pools. The Desperados were unable to avenge that loss against a determined Elite squad. But in the end we may have faced a more fortunate result in placement, As Elite West found themselves in a power pool with both 2011 National Champions. Day 2 started much the same way. Even though the boys were rising with the sun to get on the bus for their 7:30am matches, this power pool had two arch rivals from Ontario and a Manitoba club that is developing a strong and begrudging respect for our Maverick teams. The guys showed up to play despite the early hours, knocking off the Ontario Champions- KW Predators- in straight sets. The next match was up against another Ontario team, Georgetown Impact, who defeated us in the bronze medal game a provincials. A couple bounces here or a judgment call there and the outcome could have been very different this time as both games went 25-23, but alas that was not to be and our backs were now against the wall. A must win match with Canada West from Calgary (AB#5), and once again the team was prepared for the challenge, deciding the match in straight sets, but very tight games kept the fans on the edge of their seats, and the club president's mental tie-breaking calculator going on high gear. From that point forwards the road to the finals was devoid of any Ontario teams, instead Manitoba was now in our way. The first hurdle would be the biggest one we would have to get past- Winman, not only Manitoba #1 but the defending Canada West Champions. It was an incredibly hard fought match but the Desperados brought their A game and wouldn't be denied that final four berth. Winman came to Toronto on a mission to win Canada and in the end suffered their only two losses to Ontario teams (Mavs and Pakman). Next up, same town, different club. 204, was the Manitoba #2 entry, were out to stop this Maverick edition from going straight on to the finals. 204 is the remade Bison's club from Winnipeg who lost a National Championship to the 18u Mavs in 2009 and have since had an agenda to take out as many Maverick teams as they can at all Nationals (their 18u team defeated the Mustangs only 12 hours earlier). But not this time as the Desperados lived up to their name rebounding from a first set loss to charge back and win 2 in a row giving us a berth in the finals. At this point our band of brothers were a weary and injured group of gunslingers. In the finals they met up with the monsterous NAVC Green Bears from Edmonton (AB#1). Playing on the showcase court, being web cast and drawing a huge crowd the team was pumped. But after a slow start and a huge opponent, our guys just didn't have enough ammo in their belt. During the second time out, the coaches challenged the guys to "win the second half of the first set". Pride and determination pushed them to accomlish this objective. But the momentum swing the coaches had hoped for didn't materialize and missed serves and unforced errors resulted in a silver medal finish. Despite exceding their goals coming in, a final match loss is never easy to accept. In the end, surveying the whole weekend, the coaches parents and team realized it made for an amazing end to an eventful season. Special congratulations go out to Warren Taylor and Thomas Marshal for being named Tournament All-Stars. 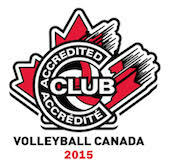 Also congrats to Coaches - Karch MacLean, Simon Doyle and Dwain Blair for guiding this group to a dream.